Ticket sales will end on Sep. 14, at 06:00 PM local time. 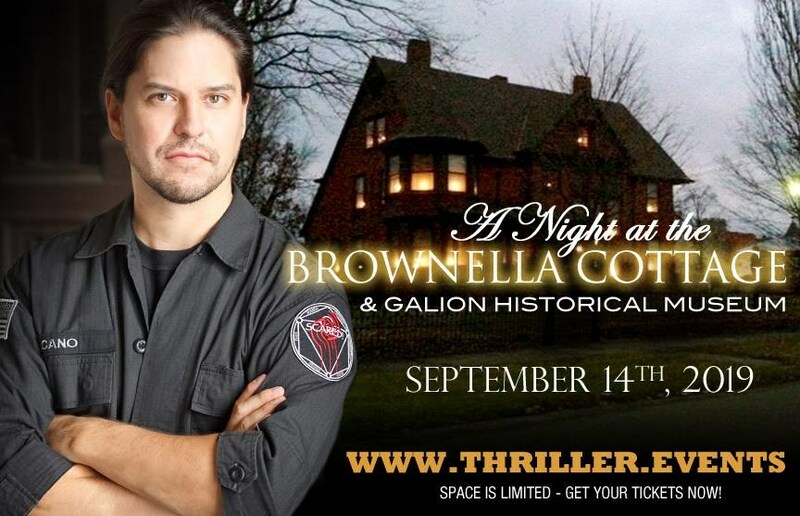 Start this incredible event at the Brownella Cottage at 6PM with a Meet & Greet of SyFy's Brian Cano, followed by a taste of the property's amazing history by Author and History and Haunts' own, Annie Tarpley! This will provide the foundation of what's going to happen thereafter! The history here is interesting, the number of owners of the property is few, many of the items inside are original and belong to its deceased owner - a one Bishop Brown - a man tried for heresy and found guilty! A man who lived there until his death on Halloween in 1935. The house sat empty for the next 50 years until the Galion Historical Society acquired it and opened it as a museum. The investigation will end at Midnight. For adults 18 years and older. No alcoholic beverages. We reserve the right to refuse attendee entrance if we feel you are under the influence of alchohol or recreational drugs. All sales are final and no refunds honored. The option for Event Insurance is provided at check out.